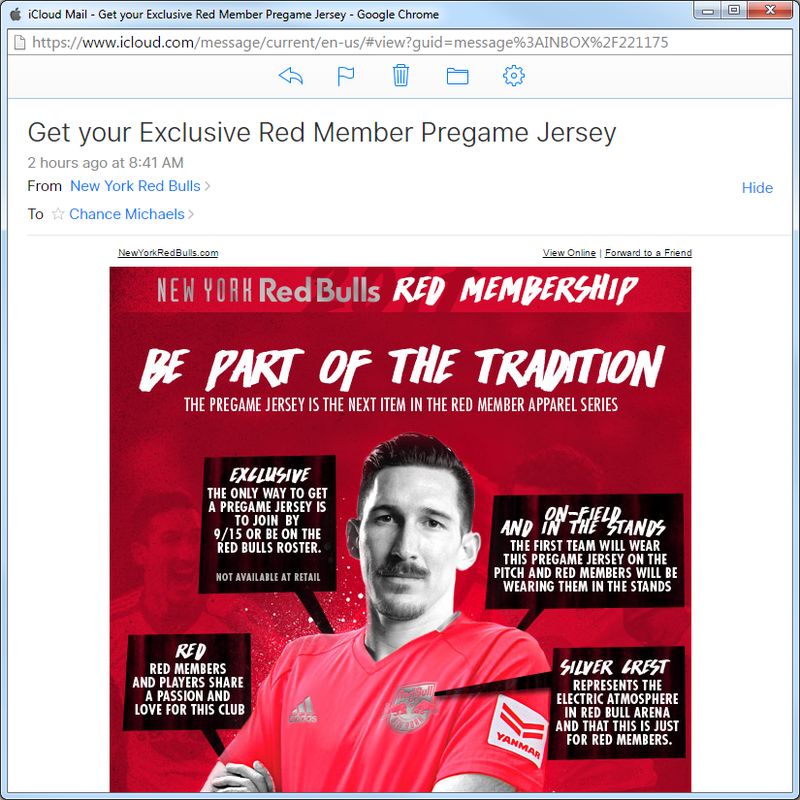 One of the side effects of buying away tickets is that I end up on the mailing list for a lot of teams around the Northeast. One of those is the Red Bulls, and I'm always curious to see how they reach out to what they think is a potential fan. "Red Member", of course, being their season ticket holders. I guess "City Member" really isn't much better, but you'd think that the two marketing campaigns could come up with something a little more catchy. So this is their big season ticket gift for next year. Let's take a closer look at that graphic. I do like the silver, and distributing all-red jerseys to your most ardent fans is a great way to create a unified field of red in the stands at Red Bull Arena. But let's look at the jersey itself. 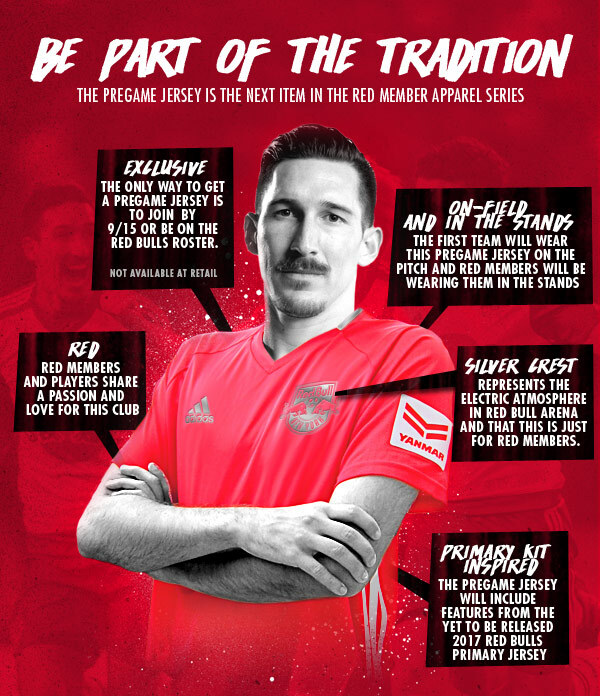 Lots of half-hearted marketing speak in that graphic, but it boils down to this "pregame jersey" being something which will be worn by the players on the pitch before the match. The jersey itself is the standard 2016 Adidas training top template, nothing terribly groundbreaking about it. Compare it to the New York City FC training jersey from this season: note the accent color on part of the collar, the Adidas three stripes down the side and the raglan sleeves. It's obviously the same template. And. of course, sponsor patches. That's the strangest thing about it. 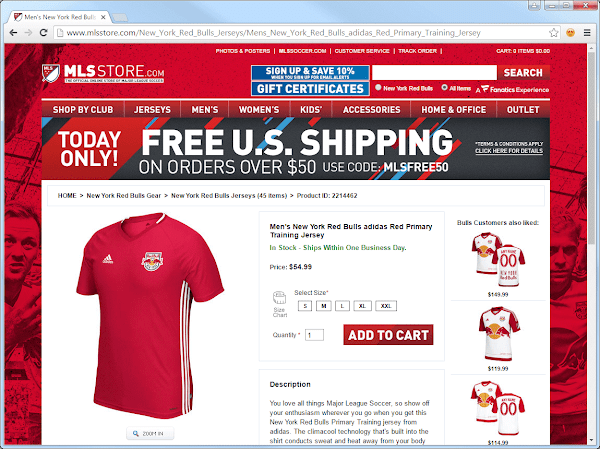 Yanmar is a tractor and marine engine manufacturer, and a Red Bulls' training shirt sponsor. I understand fans wanting the most "authentic" jersey possible, or at least being inured to seeing them on the jerseys for sale. 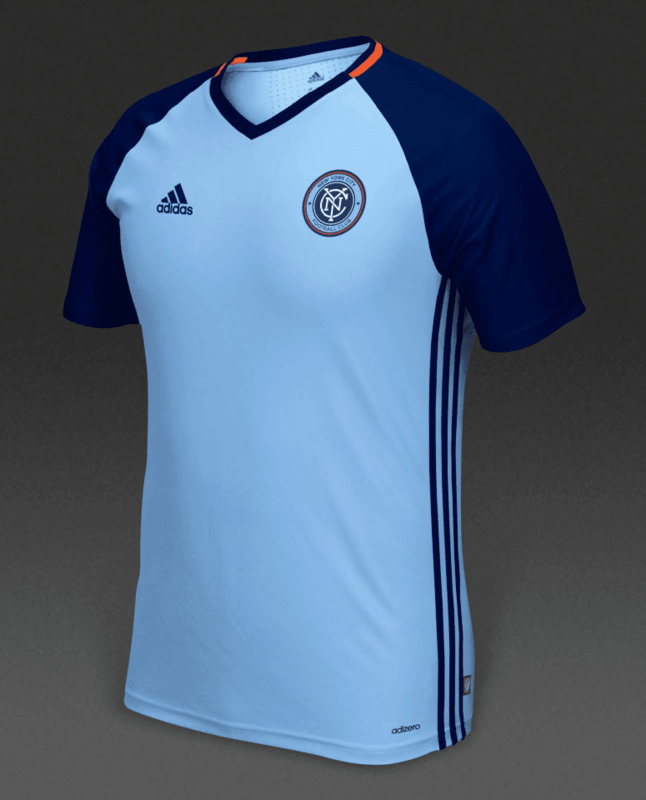 NYCFC sells versions of its training top with or without the NewYork-Presbyterian logo across the chest, but I've never seen anyone actually wearing one with the logo. Putting a sponsor logo on membership gifts for people spending hundreds (if not thousands of dollars) seems more than a little crass. 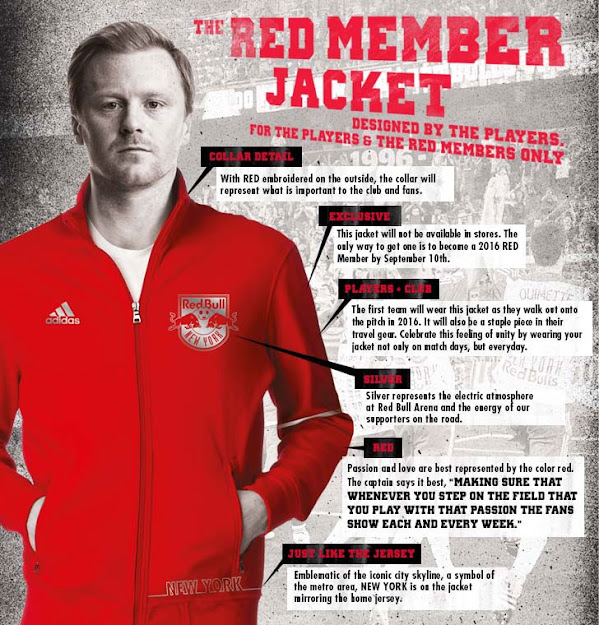 The Anthem jackets are also about twice the wholesale cost of the training tops, so read into that what you will. I'll give the Red Bulls credit for one thing, though. They have their renewals (and renewal gifts) out there early. 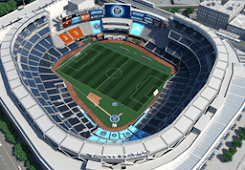 I haven't seen what NYCFC has planned for us, although they've already sent out the first notices of our upcoming renewal.